At AllSportDesigns.com you are able to create personalized car decals and magnets for baseball. You can transform them into high quality sport decals, clings, stickers, magnets, tshirts apparel, banners, heat transfers or yard signs. Our personalized products are a great way to show your team pride, make unique gifts and are excellent for team or school fundraising. Create your personalized sports products in three easy steps. Click on your design to begin personalizing. Browse our inventory of stock baseball designs. Using the base design you have selected our staff will apply your personalized information to create a product unique to you. Our designers carefully customize each piece to ensure an optimal result, but this does mean our designers carefully customize each product to ensure an optimal result, but this does mean we are unable to provide a preview proof of your design immediately on this site. Please request a proof nothing your design, info at our "contact us" page or utilize our designer site www.allsportsspirit.com if a "design now" starburst is located beside design at top of order page. undersides of bedroom celling fans. #BASE162 Baseball Personalized Car Window Decals Stickers Clings Magnets, or Wall Decals. Choose below. #BASE100 Baseball 100 Personalized Car Window Decals Stickers Clings Magnets, or Wall Decals. Choose below. #BASE158 Baseball158 Personalized Car Window Decals Stickers Clings Magnets, or Wall Decals. Choose below. #BASE102 Baseball102 Personalized Car Window Decals Stickers Clings Magnets, or Wall Decals. Choose below. #BASE152 Baseball Personalized Car Window Decals Stickers Clings Magnets, or Wall Decals. Choose below. #BASE108 Baseball 108 Personalized Car Window Decals Stickers Clings Magnets, or Wall Decals. Choose below. #BASE143 Baseball 143 Personalized Car Window Decals Stickers Clings Magnets, or Wall Decals. Choose below. #BASE150 Baseball Personalized Car Window Decals Stickers Clings Magnets, or Wall Decals. Choose below. #BASE145 Baseball Personalized Car Window Decals Stickers Clings Magnets. Choose below. 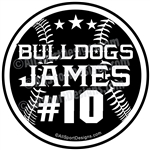 #BASE101 Baseball Personalized Car Window Decals Stickers Clings Magnets, or Wall Decals. Choose below. #BASE104 Baseball 104 Personalized Car Window Decals Stickers Clings or Magnets. Choose below. #BASE106Baseball 106 Catcher Personalized Car Window Decals Stickers Clings Magnets, or Wall Decals. Choose below. #BASE114 Baseball 114 Personalized Car Window Decals Stickers Clings Magnets, or Wall Decals. Choose below. #BASE151 Baseball Personalized Car Window Decals Stickers Clings Magnets, or Wall Decals. Choose below. #BASE155 Baseball Personalized Car Window Decals Stickers Clings Magnets, or Wall Decals. Choose below. #BASE156 Baseball156 Personalized Car Window Decals Stickers Clings Magnets, or Wall Decals. Choose below. #BASE112 Baseball Personalized Car Window Decals Stickers Clings Magnets, or Wall Decals. Choose below. #BASE501 Baseball Personalized Car Window Decals Stickers Clings or Magnets. Choose below. #BASE140 Baseball Personalized Car Window Decals Stickers Clings Magnets, or Wall Decals. Choose below. #BASE130 Personalized Baseball Personalized Car Window Decals Stickers Clings Magnets, or Wall Decals. Choose below. #BASE122 Baseball Personalized Car Window Decals Stickers Clings Magnets, or Wall Decals. Choose below. #BASE166 Baseball Personalized Car Window Decals Stickers Clings Magnets, or Wall Decals. Choose below.